"What was your best/favorite yard sale or flea market find?" Living in sunny California, I hit the yard sales and flea markets a lot all year 'round. Almost every weekend, weather permitting. And since my tastes are wide and varied, I tend to find a gem or two nearly every outing. I'm also cheap, so you know if I found it at a yard sale or flea market and posted it on my site, it's most likely I paid very little for it. Which makes the find all the sweeter. So deciding my favorite or best find is a tough one. The longer I think about it, the more I will come up with! I could base my criteria on value, or nostalgia, or the plain old joy factor. Or all of the above! The one that fits the bill on all that and more was this massive box of Masters of the Universe stuff I purchased at a parking lot flea market about five years ago. I got it for five bucks, which was a steal because it included a ton of stuff, most notably Snake Mountain, Scareglow, King Randor...and a Wonderbread He-Man! I initially jumped for the box for the nostalgia, and was overwhelmed with pure joy at the contents therein. Value? Yes, I admit I sold WBHM and some others and made my money back many times over. Even if I didn't, it was only FIVE BUCKS! That's just too cheap to pass on. 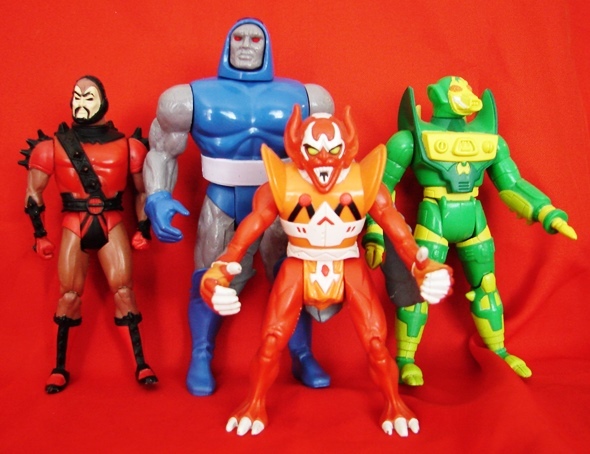 But even accounting for the figures I have since sold or traded off, I still have most of what I found that day, including Scareglow and Modulok, two of my favorite 'never-had-them-at-a-kid' MOTU figures of all time. Not a bad find, one of my favorites and one I wish to re-create every time I head out early on a Saturday morning. 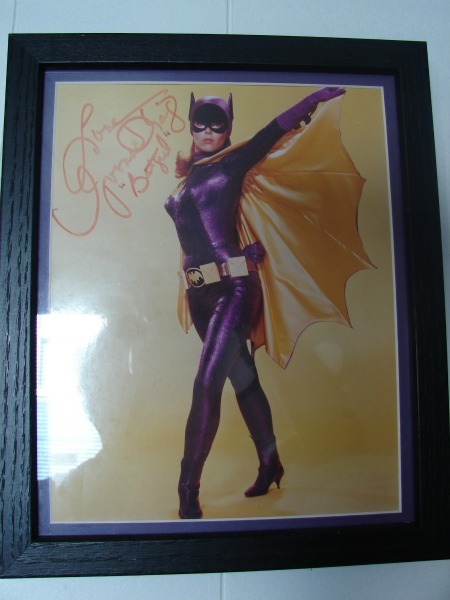 One more favorite before I go...this signed pic of Yvonne Craig as Batgirl! This honestly might be the most I've ever paid for a single item at a yard sale or flea market. I think I paid ten bucks for this one. Worth every penny. What are other League members finding? and Patrick at Nerd Out With Me uses the force to hold up his pants. Oh wow. That's amazing! I wish there were flea markets like that around my house. 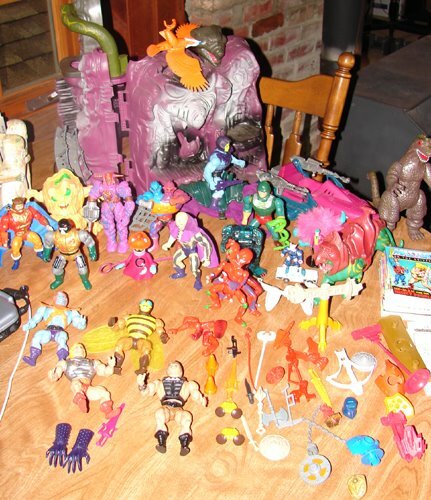 5 bucks for all that and a Wonder Bread He-Man? That is just beyond cool. That signed photo is awesome too! $5?!?! You hit the mother lode of MOTU! I love that Yvonne Craig signed picture and for 10.00, I would have been all over that. Great pick up. You do good out West, Bubba! Yvonne Craig's autograph for ten dollars?! Wow. That's a goldmine and a half right there! Bogarts some posters! Oh Thank you for that! Not just the shout out, but the pun, I was long overdue for a laugh! Holy Moley! Those are some amazing finds! Good read. I always find it amazing when someone sells signed artwork at garage sales and flea markets. Don't get me wrong I really enjoy being the guy who finds them. A #8 Brian Bendis signed Ultimate Spiderman for $5, it has long been since sold again, but at a great profit. Great read, I'll be back!